The Morrison Government will push ahead with controversial changes to the Indigenous remote work for the dole scheme despite extensive evidence given to a senate committee that they are punitive and unfairly target Aboriginal and Torres Strait Islander Australians. The changes to the Community Development Plan, which was introduced in 2015, will entrench a compliance regime described by the National Congress of Australia’s First Peoples in evidence as having never been designed for use in remote areas, where “persistent non-compliance is more likely to be the result of structural barriers such as geographical challenges”. The regime, which began on July 1 in other unemployment benefit programs such as jobactive, will impose demerits and financial penalties on CDP participants if they fail to attend scheduled appointments. The new system will cancel payments for a maximum of four weeks for defaults and require the affected participant to reapply to receive future payments. However a dissenting report by Labor senators slammed the government’s recommendation that the Bill go ahead, saying it reflected an “inadequacy of consultation, and the lack of genuine engagement or co-design with Aboriginal and Torres Strait Islander communities and representative organisations”. It quoted Congress’s submission that the compliance system “was designed for use in urban and regional contexts, where the vast majority of employment program participants regularly comply with obligations, and those who refuse to often do so deliberately due to dissatisfaction with the system”. It also cited evidence from peak group Jobs Australia that expanding the compliance regime “would consign many people to a penalties-and-compliance cycle which will increase the risk of disengagement”. Jobs Australia said CDP was already causing “unecessary financial hardship, exacerbating poverty, creating disengagment and doing more harm than good in remote Australia”. It said there were more financial penalties applied to CDP participants than to jobactive participants, a fact that could primarily be explained by “the onerous and inflexible participation requirements in CDP compared to non-remote areas”. While the Labor response made no promise to repeal the change should it win government, it called on the Government “to urgently address the issues raised in the course of this inquiry”. A separate Greens dissenting report called for the Government to release an evaluation of the current GDP “as a matter of urgency and allow time between its release and debate on this Bill … the fact that we are being asked to assess the Bill and the reforms more broadly when we have not yet seen the evaluation of the current CDP is unacceptable”. The Government has proposed creating 6000 subsidised jobs which contain some exemptions from the compliance regime, a suggestion the Greens called “a nonsense argument” as other measures could be taken to separate CDP participation from the compliance regime. The following submission to the Senate Community Affairs Legislation Committee is made by the National Aboriginal Community Controlled Health Organisation (NACCHO) and its Affiliate from each State. NACCHO is the national peak body representing 145 Aboriginal Community Controlled Health Organisations (ACCHOs) across the country on Aboriginal health and wellbeing issues. An ACCHO is a primary health care service initiated and operated by the local Aboriginal community to deliver holistic, comprehensive, and culturally appropriate health care to the community which controls it, through a locally elected Board of Governance. They range from large multi-functional services employing several medical practitioners and providing a wide range of services, to small services which rely on Aboriginal Health Workers and/or nurses to provide the bulk of primary care services, often with a preventive, health education focus. The services form a network, but each is autonomous and independent both of one another and of government. NACCHO, the State Affiliates and its members are a living embodiment of the aspirations of Aboriginal communities and their struggle for self-determination. In 1997, the Federal Government funded NACCHO to establish a Secretariat in Canberra which greatly increased the capacity of Aboriginal Peoples involved in ACCHOs to participate in national health policy development. The integrated, comprehensive primary health care model adopted by ACCHOs is in keeping with the philosophy of Aboriginal community control and the holistic view of health. Addressing the ill health of Aboriginal people can only be achieved by local Aboriginal people controlling health care delivery. NACCHO is deeply concerned by the Community Development Program (CDP) and its impact on Aboriginal people living in remote areas or CDP regions. We believe that the CDP is discriminatory and is causing significant harm, hardship and distress to Aboriginal people across Australia. NACCHO does not support the CDP nor does it support the proposed Bill. We believe the proposed Bill will only worsen the impact of the current CDP. The Senate must recognise the unanimous voice of Aboriginal and Torres Strait Islander people and reject this Bill. If the CDP is not a Special Measure, provide an explanation why the responsible Minister is the Minister for Indigenous Affairs; the program is administered by the Department of Prime Minister in its Indigenous Affairs Group; is funded from the Indigenous Advancement Strategy; and overwhelming applies to Aboriginal people. Advise the Government to work with Aboriginal and Torres Strait Islander organisations and people in remote areas to develop a replacement program which reflects the needs of Aboriginal and Torres Strait Islander people. We propose the Fair Work and Strong Communities scheme proposed by APO NT as the appropriate basis for this discussion. There are multiple issues with the proposed CDP reforms and with the underlying program and NACCHO has only referred to a few below. 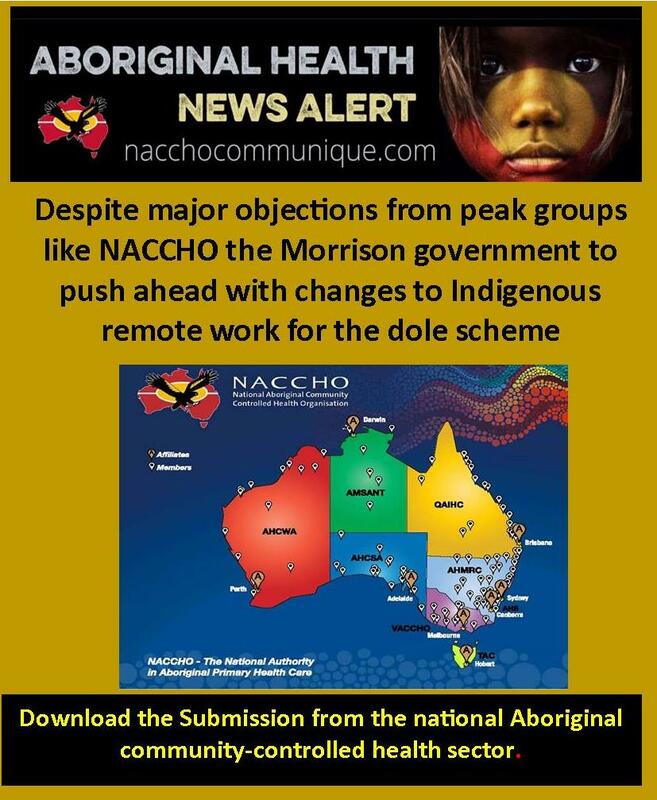 NACCHO notes the submissions of other Aboriginal organisations and peak bodies, including Aboriginal Peak Organisations in the Northern Territory and the National Congress of Australia’s First Peoples, and their comments on other issues with the proposed Bill. We also note the submission of Ms Lisa Fowkes of the Australian National University and her comprehensive analysis of the issues. NACCHO believes that the CDP is discriminatory towards Aboriginal people living in remote areas, both in its design and in its application. 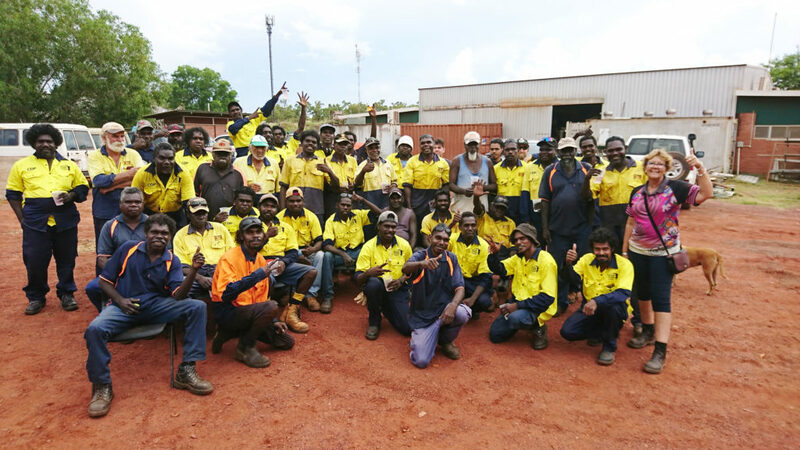 We understand that the Government claims the CDP is not a program for Aboriginal and Torres Strait Islander peoples and is an employment program for all people living in remote areas, or CDP regions. NACCHO questions then why the responsible Minister is the Minister for Indigenous Affairs, rather than the Minister for Jobs as is the case for the Job Active program, and is administered by the Department of Prime Minister and Cabinet’s Indigenous Affairs Group, rather than the Department for Jobs. NACCHO is also concerned that the CDP is funded from the Indigenous Advancement Strategy, a program solely for Indigenous programs and services. Participants of CDP are also overwhelming Aboriginal and Torres Strait Islander peoples. 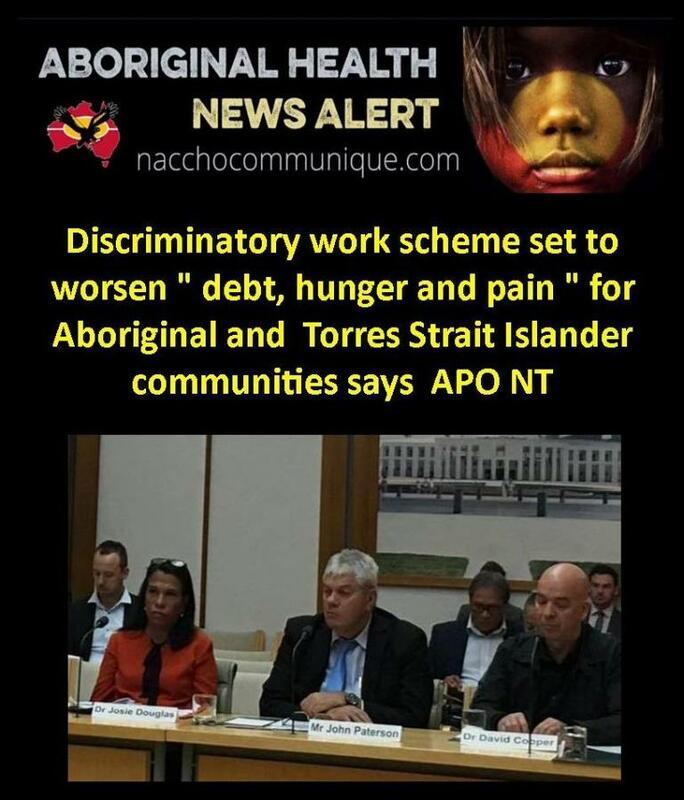 Should the government claim that CDP is a program for Aboriginal and Torres Strait Islander peoples, NACCHO is also not aware that the CDP has been designed as a Special Measure under the Racial Discrimination Act 1975. NACCHO is also of the view that CDP has a disproportionate impact on Aboriginal people and affects their rights to social security, causing significant hardship. Reasons include: differing work requirements or mutual obligations to other Australians; use of phone assessments; lack of cultural competence of assessors; failure to use interpreters; differing cultural perceptions of disabilities; high levels of unassessed or unaddressed mental illness and/or disability in remote communities; reluctance of Indigenous people to disclose family or personal challenges; and poor on non-existent Centrelink services. Clarity is required as to whether the CDP is a program for Aboriginal and Torres Strait Islander peoples living in remote areas and if it is for CDP to be redesigned so it is consistent with a Special Measure. The application of penalties under the current CDP compliance framework is having devastating impacts on Aboriginal people, with increasing hardship, people going hungry and increasing family stress. NACCHO understands the TCF arrangements are designed to reduce penalties for those who might miss the occasional appointment within a six-month period, and increase penalties for those who miss appointments or activities more often. CDP participants have to attend activities more often than anyone else, so they have more ‘opportunities to fail’ and they incur many more penalties than other unemployed people. NACCHO also believes that many CDP participants are incorrectly assessed during the initial job capacity assessments and too often have higher work obligations placed on them than they are able to meet. The multiple reasons for this are outlined above. Ultimately, it means that there are more ‘opportunities to fail’ for CDP participants. One of the biggest consequences of the TCF comes from the removal of the current ability of participants who have had a longer penalty applied to return to their activities and have their income support reinstated. Under the TCF, individuals who have been penalised would have no way of having their payments re-instated early by returning to Work for the Dole. They could appeal the penalty, but in practice this is extremely difficult for Aboriginal people living in remote areas where Centrelink servicing is very poor and inconsistent, English is not the first language and there are multiple barriers to communication. This will increase the hardship for Aboriginal people in CDP regions. In addition, those who receive 4 week penalties will have their payments cancelled altogether and they will need to re-apply for payments. This will be much more difficult for people in remote areas who may have language barriers, lack access to a phone or have underlying cognitive or health impairments and will likely mean that Aboriginal people in CDP regions will have less access to income support payments than other Australians. It is our view that the TCF system will have a much harsher impact on CDP participants than other jobseekers across Australia and will continue CDP as a discriminatory measure. This change should be rejected by the Senate. NACCHO understand that the intention of the CDP reforms is to ensure job seekers are not required to participate beyond their capacity through an improved health assessment process: this includes allowing local allied health professionals to provide the evidence for assessments. The CDP reforms however do not address the deeply flawed initial job capacity assessment which has not achieved any significant exceptions to date based on the level of disability, illness and hardship in many remote Aboriginal communities; and sets Aboriginal people up with unrealistic work expectations. The provisions for allied health workers to provide evidence on work capacity after the initial obligations have been set will then still sit within a deeply flawed system of assessment. The inadequacy of current assessment processes needs to be fixed by working with Aboriginal organisations with expertise in this area on a mechanism that supports locally-based assessments with more appropriate evidence requirements. NACCHO also notes that the inclusion of evidence from allied health professionals has also been added with no consideration of health services’ current workloads and capacity, no additional resourcing and no consultation. If these provisions proceed, NACCHO recommends that the Government work with Aboriginal health organisations and their peaks to ensure the changes and requirements are properly understood and any financial impact is addressed. 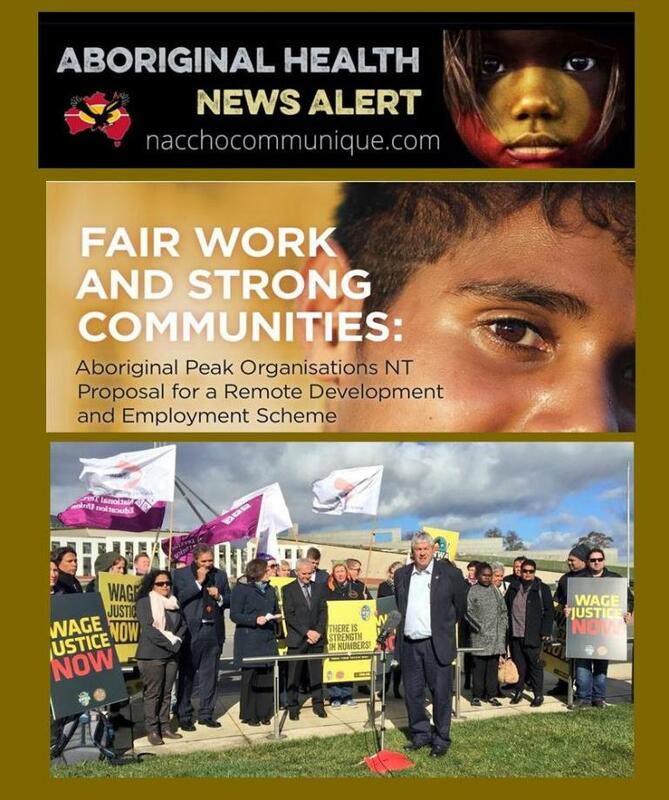 NACCHO believes that the current design of the CDP, including the proposed ‘reformed CDP’ does not address the real employment challenges facing remote communities including: lack of demand for labour; lack of required skills to take up available jobs and the health effects of poverty. These are long term challenges and require long term investments and strengthening of local capacity. These issues will only be addressed with the meaningful inclusion of Indigenous people in decision making. NACCHO recommends that the government work in partnership with remote Aboriginal organisations and their peaks across Australia to design an appropriate and properly funded Aboriginal led community development agenda that includes economic and social outcomes. The CDP should be abandoned whilst this work takes place. ” This attempt to force a harsh new penalty system on remote communities shows again that the Australian Government does not want to listen. Aboriginal and Torres Strait Islander people want to take up the reins and drive job creation and community development. John Paterson CEO AMSANT, spokesperson for Aboriginal Peak Organisations NT, said that while subsidies for new jobs was a step in the right direction, the Government’s proposal falls far short of the alternative model – Fair Work and Strong Communities – that was handed to the Government by Aboriginal organisations in 2017. The two APO NT spokespeople just finished giving evidence before a Senate committee. Dr Douglas said if the Coalition government’s CDP bill passes the Senate, remote communities will be hit with a tough new penalty regime in the New Year. She said the so-called targeted compliance framework would create even greater financial hardship in the bush. The Aboriginal Peak Organisations NT, the North Australian Aboriginal Justice Agency and the Human Rights Law Centre were among a number of organisations urging a Senate Committee to reject the Government’s attempt to expand the ‘Targeted Compliance Framework’ from urban areas into remote communities subject to the Government’s remote Community Development Program (CDP). Jamie Ahfat, a community leader in the Northern Territory, told the Committee that CDP is making life a lot harder for people in remote communities. “I’ve always tried to do the right thing in the CPD, but despite this there have been times when I’ve been penalised. “The system is discriminatory, it’s unfair that we have to do twice as many hours of activities as people in the cities. The CDP is also confusing, things aren’t properly explained to us, it’s hard to see the point. The activities don’t help us get jobs,” said Mr Ahfat. One of the most alarming parts of the Targeted Compliance Framework would see vulnerablepeople cycling through 1, 2 and 4 week no-payment penalties, no matter how much debt, hunger or pain they cause – waivers would not be available. The Government has included an offer to provide 6,000 job subsidies to the introduction of the harsh penalty system into remote areas. Those who get a subsidised job would be excludedfrom the penalty system. CDP workers currently have to work up to 500 hours more per year than those covered by thenon-remote ‘Jobactive’ program. The scheme also imposes onerous daily requirements. As aresult people under CDP are struggling to keep up and are having payments docked at 25 timesthe rate of Jobactive participants. David Woodroffe, Principal Legal Officer of the North Australian Aboriginal Justice Agency, said that for years Aboriginal and Torres Strait Islander organisations have been dealing with thedamage wrought by the Government’s program. “Rather than adding more penalties there is a real need to address the factors that are drivinghigh penalty rates already, such as barriers to accessing supports for vulnerable people and more onerous work obligations,” said Mr Woodroffe. Adrianne Walters, senior lawyer at the Human Rights Law Centre, said that it was unjust and unnecessary for the Government to effectively make its offer to subsidise jobs conditional on the introduction of a penalty system that will see many Aboriginal and Torres Strait Islander people suffer. “CDP already subjects remote Aboriginal and Torres Strait Islander communities to the indignity of having to work more for less. If the Government gets its way, parents will be left without money for food, fuel, rent and other basic necessities for four weeks no matter how dire their situation,” said Ms Walters.